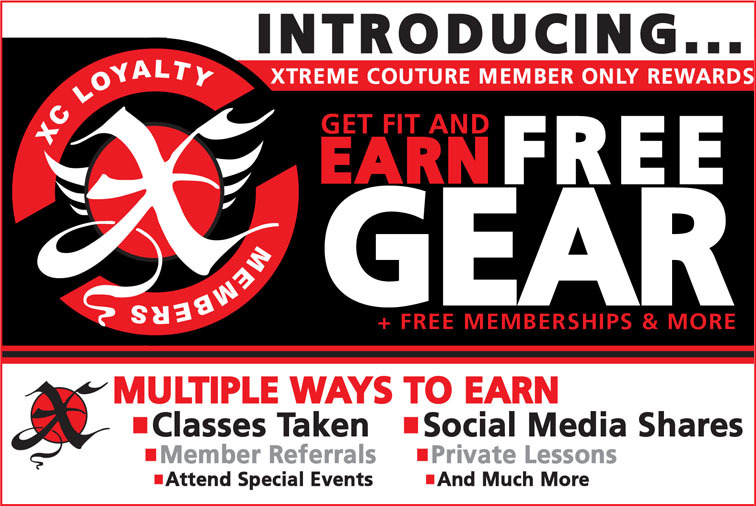 Xtreme Couture founded by UFC 6x Champion Randy Couture and a leader in Mixed Martial Arts training and physical fitness programs has introduced a new Gym Member Loyalty Program. The program allows members of the Las Vegas gym to earn points for things that they already do. XC realizes the commitment it takes to get fit and stay fit and we wanted another way to thank our members for coming to the gym and also to help us promote fitness to others around the community. 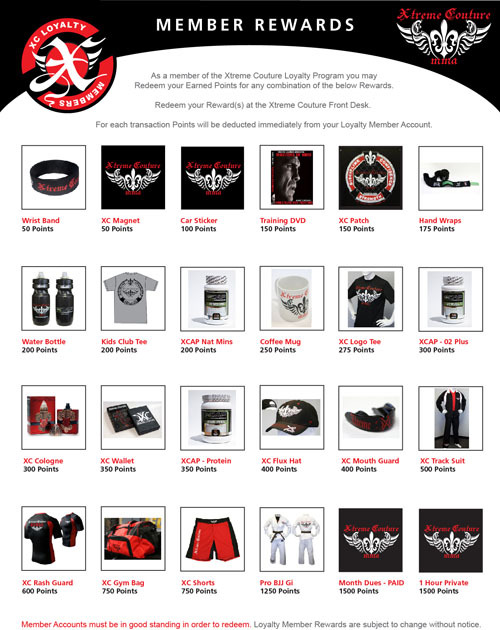 The Xtreme Couture Loyalty program is simple and fast to earn points and easy to redeem them for items a member wants and can use. There are no special enrollment fees, no need for registration or any hidden fees, if you’re a member of the gym you are automatically part of the program and earning points. 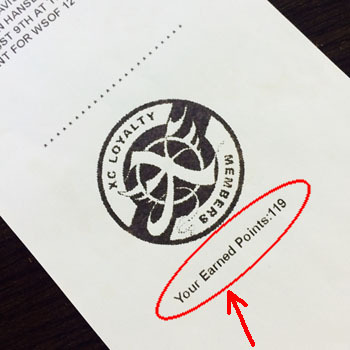 When a member checks into the gym and gets their class ticket they can check their total loyalty points at the bottom of the receipt. Member Rewards can be redeemed at any time starting with just 50 points. The program was designed in a manner that the rewards are not some far fetched unachievable goal that will never be met. Xtreme Couture will reward you with points every time you step foot into Xtreme Couture to take a class , competing in XC events, sharing social media posts and referring us to your friends. This isn’t the first program that was put in place to benefit XC gym members at no additional cost. Xtreme Couture has athletic trainers that are available to our members through a Nationally recognized company, Select Physical Therapy. Select PT is a clinical team that provides preventative and rehabilitative services that maximize functionality and promote well-being. Xtreme Couture offers classes for youth, teen and adult classes along with our competition teams. If you are local come in and try a class for free or you can register for a free 3 day pass on our website www.xtremecouturemma.com.